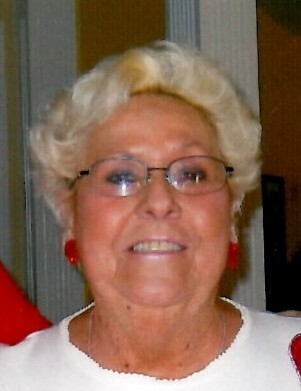 Patricia Ann Hodges, 82, passed away peacefully surrounded by her family on February 4, 2019. Born on Valentine’s Day in 1936 to the late Dorothy Yeager (nee Miller) and the late Herbert Elliott, Patricia was raised in South Baltimore by her mother and stepfather, Joseph Yeager. She is survived by her son, Jerry Hodges and his wife, Tina and dear brother, William Yeager. Patricia was a loving grandmother to Christopher and Alexandra Hodges. Patricia enjoyed life, bingo with her friends, dining out and designing custom shirts and greeting cards for herself and friends. She will be dearly missed by all. Family and friends are invited to call at the family owned and operated McCULLY-POLYNIAK FUNERAL HOME, P.A. 3204 Mountain Road (PASADENA) on Friday, February 8, 2019 from 10 AM until 12 Noon with a private funeral service to follow.